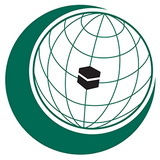 The Organization of the Islamic Conference (OIC) is the second largest inter-governmental organization after the United Nations which has membership of 57 states spread over four continents. The Organization is the collective voice of the Muslim world and ensuring to safeguard and protect the interests of the Muslim world in the spirit of promoting international peace and harmony among various people of the world. The Organization was established upon a decision of the historical summit which took place in Rabat, Kingdom of Morocco on 12th Rajab 1389 Hijra (25 September 1969) as a result of criminal arson of Al-Aqsa Mosque in occupied Jerusalem. 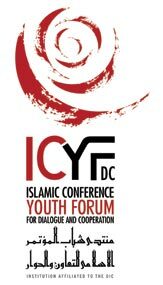 In 1970 the first ever meeting of Islamic Conference of Foreign Minister (ICFM) was held in Jeddah which decided to establish a permanent secretariat in Jeddah headed by the organization’s secretary general. Prof Ekmeleddin Ihsanoglu is the 9th Secretary General who assumed the office in January 2005 after being elected by the 31st ICFM. •	Member States shall uphold and promote, at the national and international levels, good governance, democracy, human rights and fundamental freedoms, and the rule of law. So far eleven Islamic Summit Conferences and 37 Councils of Foreign Ministers (CFM) have been held. The Eleventh Islamic Summit Conference held in Dakar on 13-14 March 2008 electedSenegal as the current Chairman of the Organization. The Secretary General of the Organization of the Islamic Conference, Professor Ekmeleddin Ihsanoglu, was re-elected for a new term of office at the closing meeting of the 11th Session of the Islamic Summit Conference. The new OIC Charter was adopted at the Dakar Summit. The Summit also witnessed the setting up of the Special Programme for the Development of Africa (SPDA). An agreement between H.E. President Omar Hassan Al Bashir and H.E. President Idriss Deby, President of the Republic of Chad, under the auspices of H.E. Maitre Abdoulaye Wade, President of the Republic of Senegal, was signed on the sidelines of the 11th Islamic Summit Conference, on 13 March 2008. Before the Summit Conference, at His Excellency President Abdoulaye Wade’s initiative, the first conference of humanitarian and charity organizations was held in Saly Portudal from 7 to 9 March 2008. The number and types of secondary organs and institutions, working toward the achievement of the OIC objectives, have been steadily increasing, and cover various areas of cultural, scientific, economic, legal, financial, sports, technological, educational, media, as well as vocational, social and humanitarian. Depending on their degree of autonomy vis-à-vis the parent organization, they are classified as subsidiary organs and specialized or affiliated institutions.